REA CH is not purely about chiropractic where some may think we’re magically fixing people by waving a magic wand while riding a mystical unicorn down Rainbow Road. I mean, that would be pretty bodacious and all but if you believe that you either have a substance abuse problem, need to hop in the loony bin, or still play way too much Mario Kart 64! 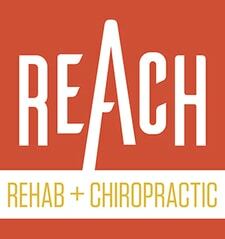 REACH is ultimately about helping and empowering others to move and function better so they can live life to its fullest. If everyone could do this, there would be so many exponential positive societal changes across the board that I don’t want to think about because my head would implode (or explode?). Oh yeah, and I’d also be out of business, which I’d be cool with given the cause, but that’s not happening anytime soon, unfortunately!